Beautifully updated and meticulously maintained family home located in the charming community of Valley Ridge. Featuring 9ft ceilings throughout the main level accentuating the open concept floor plan offering a spacious kitchen & sun soaked breakfast nook which leads out to the perfectly manicured south facing backyard oasis. The main level is complete with a large family room, formal living/dining room, & private office. The upper level includes upgraded carpet & 4 generous bedrooms including a luxurious master's quarter highlighted by french doors & a rare 6pc ensuite. Other upgrades include a new garage door & motor, added attic insulation, new water tank & humidifier, Hunter Douglas blinds, & all new appliances. 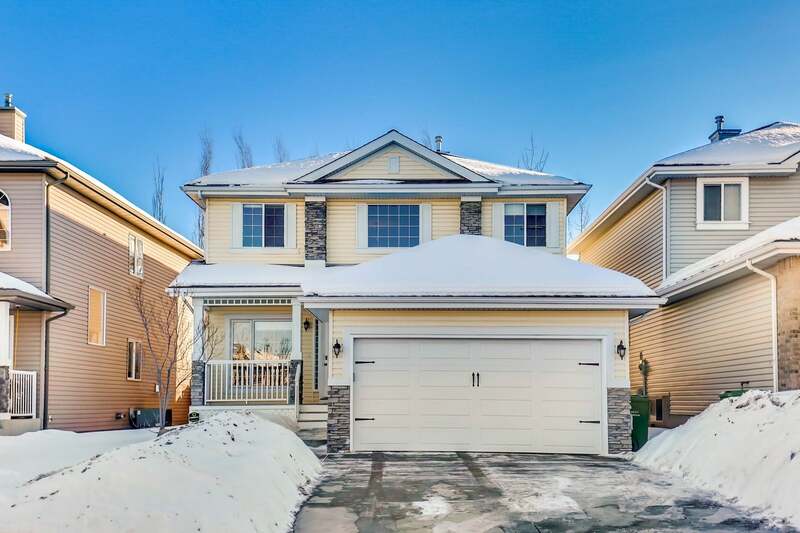 Valley Ridge is an active family oriented community with over 50% green space including amazing hiking trails, bike paths, the bow river & Valley Ridge Golf Course. There's also an amazing community garden which consists of over 30 raised garden beds - perfect to satisfy your green thumb.